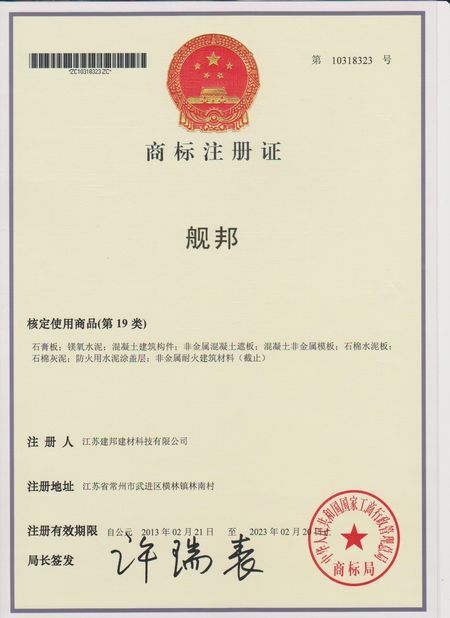 The production with our own brand “Jumbo” has passed all tests and inspections of National Quality Supervision and Test Center of Building Materials for Industrial Constructions, National Center for Quality Supervision and Test of Fire Fighting Equipment, ect. Our production has been widely applied in the non-bearing walls of various buildings. We have established stable business relationship with domestic markets ( Hong Kong, Bejing, Shanghai, Jiangsu, Zhejiang and so on) and markets overseas, such as Russia, Papua New Guinea, Angola, etc. It is well known that science and technology is the primary productive force. So we always focus on new materials and new applications, and we also coordinate with relevant universities and institutes. We believe that the quality is the body, the market is the guide, and research is the spirit. We always value qualified people including engineers, QC, and even workers. 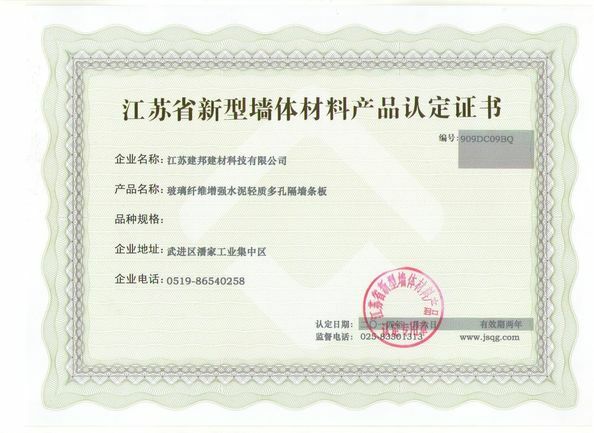 Therefore, we are recognized as “Lightweight Partition Wall Expert”.